Just as all the buds burst into bloom with the full arrival of spring, the many activities on and off campus echoed the stirrings of the new season. As I — and Year 42 — come to the end of our first academic year on 20 May, energy levels and emotions run high among students, teachers and staff alike. And for the Year 41 cohort, there is an even greater sense of urgency — all the things that they want to do ‘one more time’, topping off all the memories that they have built over the past two years and trying to cram everything in — all while taking the IB exams. Fitness and recreation are important parts of those memories, and who will forget the epic Golden Shoe Tournament of Champions on 10 April? It’s hard to know who had more fun: the students or the adults. While the Board of Directors considered issues of importance to the College’s future, our students honed a few important skills on the soccer field: teamwork, collaboration, challenge, camaraderie and sportsmanship. See this great video by Aziz Sonawalla (Year 41/2016, India). Two weeks later, the Pearson community joined nearly 10,000 others to take on the TC10K run/walk and tied for fastest team in our division! A few personal bests were set, and plenty of fun was had by all. The annual on-campus meeting of the Pearson Board of Directors gave all members of the community a unique opportunity to attend Director-led workshops. Topics ranged from Responsible Investing, The Workplace of the Future, and Global Food Security to Meeting Global Energy Needs, and Corporate Social Responsibility. For many, the highlight was “Creating Empowering Visions – Lester B. Pearson”, led by the Nobel Laureate’s granddaughter, Ann Pearson. The presentation by Jean Drouin (Year 15/1990, Canada-ON) “From Medicine to Healthcare Technology – How Pearson helped me become an entrepreneur” was especially relevant to our spring issue of the Pearson Times featuring the stories of alumni and current students who represent Pearson’s Health Leaders. During the on-campus Board meetings, it was also a privilege to welcome UWC Executive Director (and Pearson alumnus (YR 9/1984, Germany) Jens Waltermann who followed up his remarks to the community about the future of the UWC with an interactive exchange with students, staff and guests. Special thanks to the student videography team who captured the event! 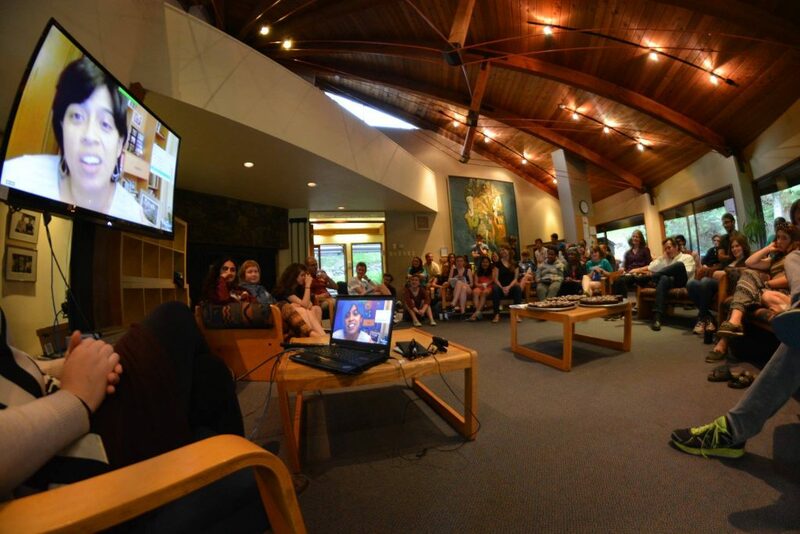 Later in April, at the Life After Pearson 2016 session, Year 41 students received an early send-off from alumni who recounted their transition experiences and gave timely advice about how to move successfully into the world of UWC as an alumnus/a. Therese Turner-Jones (Year 3/1978, Bahamas) who has been appointed Caribbean regional head of the Inter-American Development Bank. She is the first Caribbean woman and second Caribbean person to hold this position. Joseph Tarawali (Year 38/2013, Sierra Leone), who was recently awarded a $10,000 Davis Projects for Peace grant for his plan to update educational resources in a Sierra Leone school. 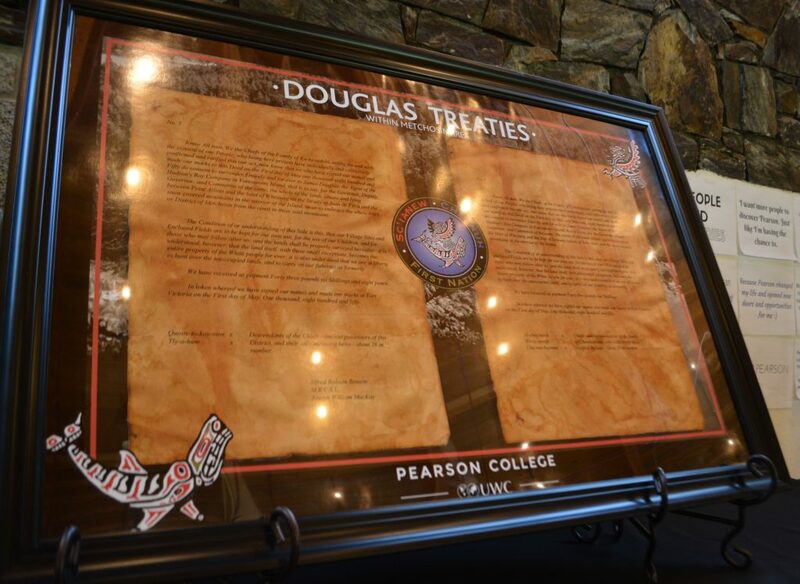 Pearson hosted a highly successful “Treaty Day” event to honour the signing of the Douglas Treaties. We were joined by members of the local Sc’ianew (Beecher Bay) First Nation, including Band Chief Russ Chipps and Council as well as Elders and youth drummers. The event marked a historic new beginning in our relations and reconciliation efforts. We have set aside scholarship funding for local Indigenous youth to participate in Pearson’s summer program, as well as places and scholarships for a number of Indigenous students next year (2016/17), and are actively seeking applications from residents of Canada who identify as First Nations, Inuit or Métis. I am excited to report that we are working on the development of a new IB Standard Level Anthropology Course focused on Indigenous Issues and Reconciliation in a global context. I must acknowledge the work of Clint Kuzio (YR 14/1989) for his volunteer work over the last few months advising us and helping to build programming, including the workshop on Indigenous Cultural Safety. We have created a new faculty and curriculum & community support position, Indigenous Educator, Advisor & Coordinator of Reconciliation Programming. Interviewing should start by 15 May with mid-August set as the start date for the successful candidate. From 14 to 24 August, we are piloting the first–ever SPELL program. Open to Pearson only students whose level of proficiency in English might restrict or limit their academic and/or extra-curricular success at Pearson, it will be facilitated by experienced English Language teacher and Year 6 alumna Dani McArthur, assisted by four second-year student helpers. SPELL is made possible through the pilot Alumni-in-residence volunteer program, that runs from March to December 2016. Dani has also given new meaning to Alumni-in-residence by bringing her Tiny House to campus. The Tiny House project will become a working initiative for the students to have a hand in — from the initial set-up to installing solar paneling and, eventually, creating as close to a zero-impact footprint as possible. We continue to work with human rights lawyer Cynthia Petersen to ensure that Pearson remains a safe, healthy and vibrant community. Following a review of College policies, and how we apply these to ensure we continue to meet best practices to ensure student safety, a Vulnerable Sector Check has been incorporated in our mandatory Criminal Record Check (CRC) Policy. This enhanced criminal record check is essential for those working, volunteering or living with persons under the age of 19 (who are not family members). platforms (such as: LinkedIn, Twitter, etc.) to communicate with students. The College prohibits adults from “friending” (initiating or accepting requests) current students on Facebook or an equivalent action on other platforms. (There may be instances when the College grants an exemption in limited circumstances.) This is in line with best practices in the educational sector. I participated in my first meeting of UWC Heads held in the Kruger National Park, in South Africa and hosted by Waterford Kamhlaba UWC of Southern Africa (WK UWCSA). The 3-day meeting covered a wide range of topics from preparations for the October 2016 UWC World Congress and key considerations in recruiting UWC College Heads to campus safety, sexual harassment and greater coordination around data collection, advancement and admissions (including a new partnership to recruit more refugees). On the last evening, we enjoyed a memorable visit to Waterford Kamhlaba, one of Africa’s first multiracial schools. En route to South Africa, I spent just over 24 hours in London where I had the opportunity to meet with various IO ‎staff. This trip gave me a greater sense of the broader UWC movement as well as some of the opportunities and challenges that lie ahead for Pearson. I was thrilled to speak to the distinguished audience and panel of fellow presenters at the first-ever Ottawa Peace Talks on 19 April. My talk, Peace & Diversity – The legacy of Lester B. Pearson, gave me a great opportunity to present Pearson College as the living legacy of Mr. Pearson’s ideals and vision. Our alumni, Board members, staff and friends are constantly creating outreach opportunities to build awareness and create enthusiasm for Pearson College and our mission. One of our most recent initiatives was led by Board Chair Tony Macoun and Executive Director of Advancement Alison MacKenzie-Armes and took place at the Canadian Embassy in Tokyo – a particularly apt location as we prepare for a campaign to raise funds to extensively refurbish Japan House in preparation for our return to an enrolment of 200. The event drew a large and distinguished audience and included nearly half of all the Japanese nationals who have graduated from Pearson since its founding. I am so thankful that I could accept the invitation of Pearson Board member Shamir Alibhai and his lovely wife Sophia to be their guest at the inspirational Courage to Come Back Awards Gala in Vancouver on 5 May. Shamir was a wonderful host, introducing me to so many people and helping to spread the word about all the good things happening at Pearson. I was particularly happy to reconnect with Kory Wilson (Year 14/1989 Canada, BC), BCIT’s Executive Director of Aboriginal Initiatives and Partnerships and Pearson alumna. This month, in addition to Vancouver, I will also be in Ottawa, Toronto and Winnipeg for meetings and events with alumni, government contacts and prospective donors. 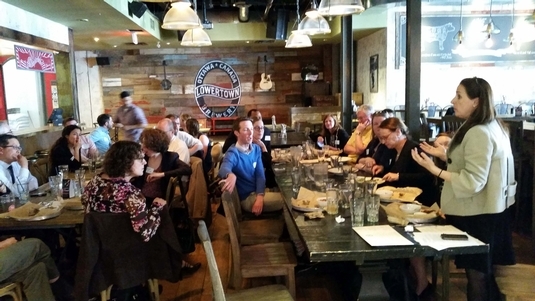 Planning is well-underway for our June 6th event in Calgary for all Albertan current and incoming students and their parents, alumni, donors, volunteers and other supporters. Our special guest is Calgary Mayor Naheed Nenshi, a long-time supporter of Pearson College. Back on campus, Pearson will host two UWC conferences in June. Pearson Director of Admissions Heather Gross (YR 20/1995, Canada-AB) will play a leading role in the annual meeting of the Directors of Admissions for all UWCs. The second on Pastoral Care (June 19-24), will see Dean of Students Libby Mason working in close collaboration with the Head of Red Cross Nordic UWC. On Sunday 15 May, we will acknowledge their invaluable contribution at the Thank-You Brunch for our Host Families who so generously open their homes and hearts to our students. Everyone on campus is rolling up their sleeves and getting ready for the big “Clean-up Day” on 19 May (which will be my first!) and the final Village Gathering and year-end BBQ that follow it. That will surely be a day filled with laughter, tears and all the emotions in-between as we say Au revoirto many friends.